Over the past several decades researchers have gained greater insight and attained a greater understanding of the potential lethal effects of UV light. 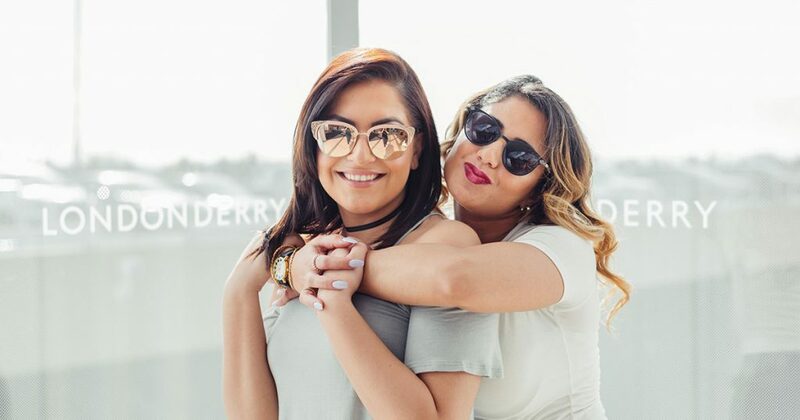 The purpose of this article is not to exaggerate the risk of UV but rather to inform you so that you can make more educated decisions with respect to sun protection and sunglasses. Ultimately, we all have to individually decide whether we need to wear sun protection. Many factors will influence an individual’s decision but my goal is to educate and inform our patients so they are aware of the risks of UV light and the benefits of sun protection as it pertains to the eyes. I will proceed in a question & answer format to simplify a topic that is much talked about but often not fully comprehended. Ultraviolet light(UV light) is a form of energy that is emitted from the sun that can irreversibly damage many parts of the body. The sun radiates many forms of energy including sunlight, infrared light, heat, and the aforementioned ultraviolet light. Obviously, sunlight and heat are a necessary form of energy that are needed to sustain life; however, there are other types of energy that the sun produce that percolate into the earth’s atmosphere and can have severe health consequences. Prolonged exposure to UV light can damage the skin, the immune system, and the eye. How can exposure to UV light damage the eye? Exposure to UV light can damage the cells that make up the eyelids, cornea(front surface of the eye that focuses light to help us see), the lens(internal window of the eye that filters out harmful light rays), and the retina(the back part of the eyeball that converts the light into signals the brain can understand). What parts of the eye are most vulnerable to UV light? The eyelids are vulnerable because they are thin in structure and exposed directly to UV rays, which can lead to potentially life threatening conditions such as basal cell carcinoma.BCC is the most common type of eye cancer which typically shows up as a bump, pustule, or skin lesion located on the ‘eyelid region’ or ‘nose.’ But it is NOT the only type of skin cancer. Note: The nose and eyelids are the most common place of basal cell carcinoma however, skin cancer show up almost anywhere on the skin. It is imperative that you seek medical attention for ANY new skin lesion on ANY part of your body, no matter how small, painless or harmless in its presentation. Early detection is critical and a delay can cause a spread of the cancer and result in terminal cancer. Here is example of basal cell carcinoma. Looks harmless doesn’t it? UV light can cause burns and scarring to the front part of the eye. The most well known type of UV light damage is a ‘welders flash’, in which UV rays damage the top and middle layers of the cornea causing severe pain, blurry vision and in some instances scar tissue formation. Corneal damage from UV light is often painful and can potentially result in permanent vision loss. UV light can lead to early onset and rapid progression of cataracts. Cataracts are a clouding of the window inside the eye which can cause symptoms such as night glare, double vision, haloes, and an overall loss of a color perception and detail in vision. UV light can lead to macular degeneration. The macula a part of the retina which contains the highest number of sensory nerves and provides us with our most detailed vision. Unlike cataracts which can potentially be treated with surgery, the damage from macular degeneration often results in irreversible loss of vision. What can I do to protect my eyes from the effects of harmful UV light? The simplest way to protect the eye is to wear protection(ie: sunglasses, hat, cap, etc). What should I look for when purchasing sunglasses? What are polarized lenses ? Polarized lenses are a special type of sunglass lens that cut reflected glare. Reflected glare is sunlight that bounces off smooth surfaces like pavement,car windows, chromed surfaces or water. They can be particularly useful for driving and fishing. Polarization has nothing to do with UV light absorption, but many polarized lenses are now combined with a UV blocking substance. Check the label to make sure the lenses provide maximum UV protection. What are photochromic lenses(ie: transition lenses)? Photochromic lenses are eyeglass lenses that are clear (or nearly clear) indoors and darken automatically when exposed to sunlight. Other terms sometimes used for photochromic lenses include “lightadaptive lenses” and “variable tinted lenses.” The most popular brand of photochromic lenses sold in the North America are Transitions Lenses (Transitions Optical). 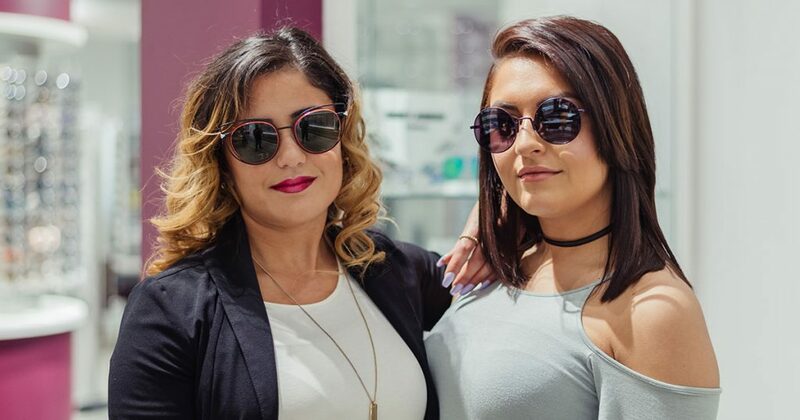 Because of this, some people — including some eye care practitioners — refer to photochromic lenses as “transitions lenses” or “transition lenses.” But there are other brands of photochromic lenses available as well. How do I determine the quality of sunglasses? You do want to make sure that the lenses you buy are made properly. To judge the quality ofnonprescription sunglasses, look at something with a rectangular pattern, such as floor tile. Hold the glasses at a comfortable distance and cover one eye. Move the glasses slowly from side to side, then up and down. If the lines stay straight, the lenses are fine. If the lines wiggle, especially in the center of the lens, consider trying another pair. But this is just a rule of thumb and there are exceptions. 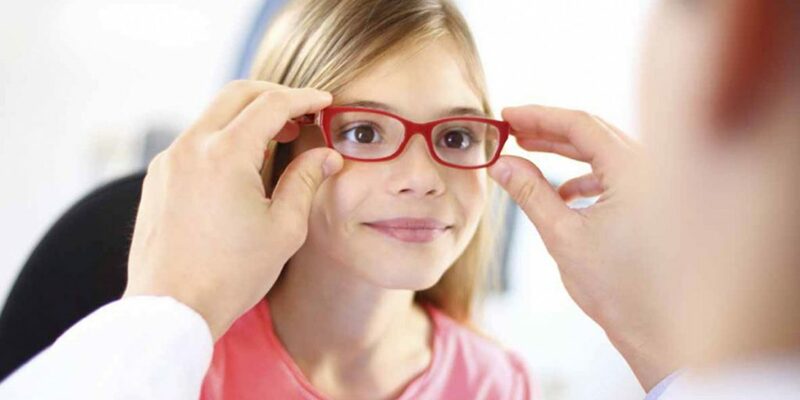 The best way to determine the quality of a lens is to talk to an sales associate at a reputable optical. 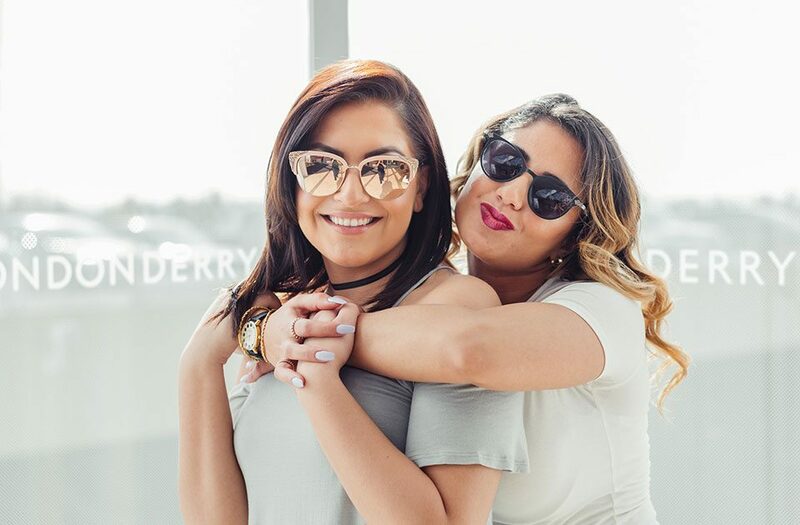 What should I look for when I am buying sunglasses? You should look for sunglasses that protect you from 99 to 100 percent of both UVA and UVB light. This includes those labeled as “UV 400,” which blocks all dangerous light rays . 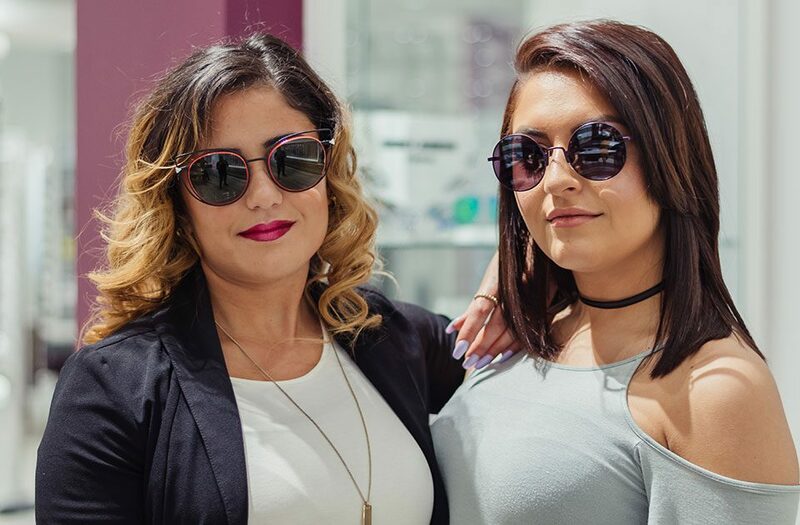 Additionally, sunglasses are often a fashion accessory and selecting a frame that can enhance your facial features is often an important consideration. Do I need to only wear sunglasses when its sunny ? UV rays can be just as prevalent on cloudy days as sunny days. Adults and children should wear sunglasses whenever they are outdoors. Are sunglasses recommended for children? And if so, at what age should children start to wear protective eye wear? 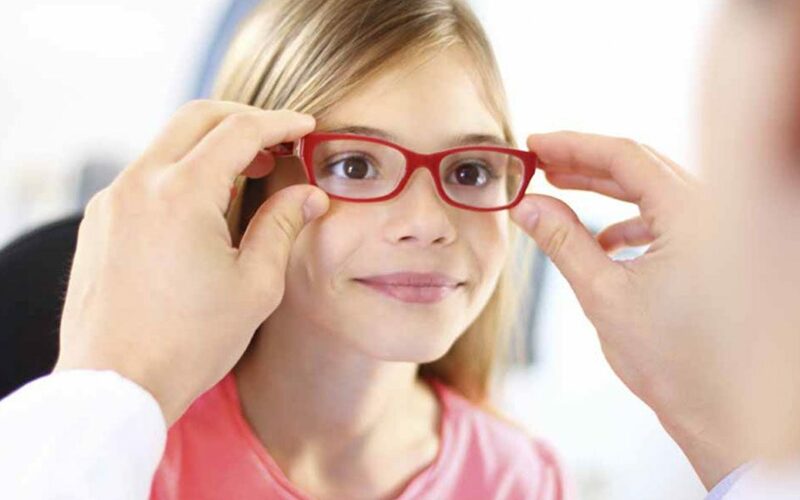 Children should start to wear eye protection at the age when they start spending a notable amount of time outside. There is no specific age but many practitioners recommend that children start to wear sunglasses at age 3. Even toddlers who spend a significant amount of time outdoors and are exposed to UV rays should wear a form of eye protection (ie: cap, hat, etc) even before they are able to wear sunglasses. In fact, because children spend significantly more time outdoors than most adults, some experts say that up to half of a person’s lifetime exposure to UV radiation can occur by age 18 making protection critical at an early age. Will toy sunglasses provide an adequate amount of sun protection for children? Unfortunately not. As with adult sunglasses, look for sunglasses that protect you from 99 to 100 percent of both UVA and UVB light. This includes those labeled as “UV 400,” which blocks all dangerous light rays. Ultraviolet as an invisible but real risk to the well being of our eyes. It is very easy to ignore the real risk that UV light poses because its effects do not impact as immediately but rather have a cumulative effect which sadly can be irreversibly during the later years of our life. But the risk is real and eye protection is an important step in ensuring the health of the eyes throughout our lifetimes.